Whooper Swan Airport would probably be a better title though. This image shows whooper swans (Cygnus cygnus) taking off, landing, and resting. 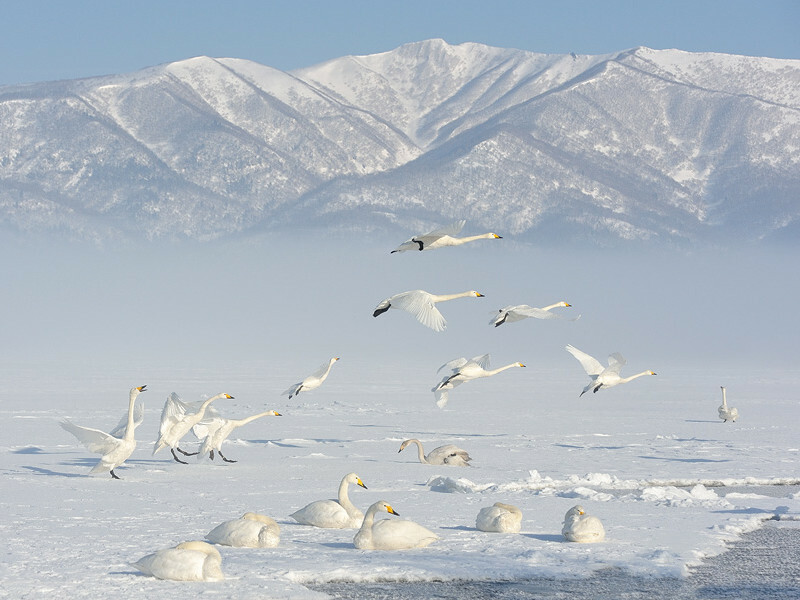 There are many places in the world where you can photograph these beautiful birds, but nowhere as stunning as on Hokkaido, Japan. This was shot on a cold winter morning near Lake Kussharo.